To update your look this winter get these two key pieces. 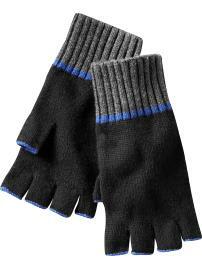 First a pair of cut off gloves. Channel your inner Madonna with this pair from the Gap for $14. Next is a knit hat with a brim. The built in brim is key to turn the otherwise boring skull cap into a trendy option. 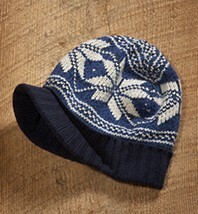 I love the snow flake pattern on this hat from American Eagle for $20.